New Delhi (India), Feb 3 (ANI): After the Supreme Court set aside his dismissal from the Army, Lt Gen Avadesh Prakash (retd) said the people who created the "bogey of a land scam" in Sukna must answer as the allegations maligned the image of the entire Indian Army and not just his. Prakash was held guilty by a general court martial in 2011 and he was dismissed from service without any pension or other post-retirement benefits. "My honour has been restored after the Supreme Court verdict. 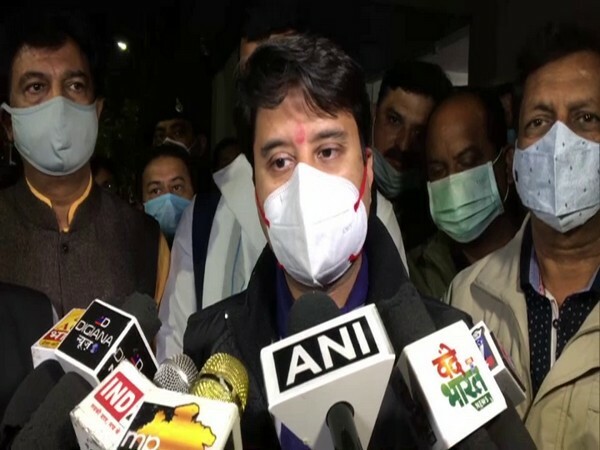 But people who created this bogey of the so-called Sukna land scam must answer their own conscience as why was all this done," Prakash told ANI. "The allegation that Rs 300 crore was paid to someone by somebody to get that land in Sukna does not hold ground as the land never belonged to either the Defence Ministry or the Army at any point of time. The land belonged to the Bengal government and even now belongs to them," he claimed while explaining the case. "While commenting on my general court martial, the honourable Supreme Court had called it the travesty of justice and as per the dictionary meaning it was the mockery of justice as junior officers were asked to carry out my trial," the officer said. Prakash, who had not been getting pension and other benefits, would now be eligible for all post-retirement benefits after the order. "My honour has been restored by the court and I am thankful to the judicial system in the country for that," he said. On January 24, the top court had set aside the dismissal of Prakash from the Army for his alleged role in the Sukna land scam, holding that punishment was disproportionate to one minor charge being proved against him. Setting aside his dismissal and its upholding by the Armed Forces Tribunal, the Bench of Justice AK Sikri, Justices S Abdul Nazeer and MR Shah directed that he be paid all the retrial and pension benefits from the date of retirement.